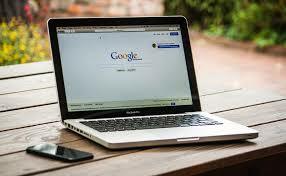 The Tax Justice Network has revealed today that Google has avoided paying £1.5bn in corporation tax. What could the government have done with this money? This is the comparison the Mirror and the Sun went with. £1.5bn divided by 60,000 is £25,000. A hip operation costs £5,000 to £6,000. They cost about £895,000 each. The government allocated £1.7bn recently to re-housing 20,000 Syrian refugees – providing them with accomodation for four years. For context, there’s about 5,000,000 Syrian refugees – the vast majority of them living in Turkey, Jordan and Lebanon. The Treasury has allocated £1.5bn to departments for Brexit preparations. Total government health spending in England was estimated to be £125bn in 2019. £1.5bn is 1.8% of this. 1.8% of a year is just over four days. The value of diabetes prescriptions is around £1bn a year. There are 1.3m in the UK who claim ‘carers allowance’ – which is for those spending more than 35 hours a week caring for someone who themselves claims certain benefits. ‘Carers allowance’ is a measly £66.15 a week. So a one-off £1,000 bonus would be nice. The government is spending 220 bn a year its debts. You can’t have the money. But its a socialist debt pile, its off the books, so you can’t talk about it. It is easy and right to hit on Google but let’s not forget that Corporation tax has been reduced from 28% (2010) to 18% now (and plans for a cut to 17% next year) by three Tory governments. Revenue is around £40bn so restoring rates would produce, (ceteris paribus), far more than what Google should be paying! Just to recover the worst cuts to public spending the Chancellor would have to allocate an additional £20bn per annum and that’s not including for the ‘extra’ £20.5 bn the government claim it is giving the NHS over the next five years. So far there are no signs that the 9-year long squeeze on the NHS has eased. The loophole used by Google must be closed immediately.